When it comes to sunrooms, nothing sets the tone of the space more than the sunroom windows you install. This is because the biggest feature and focal point in a sunroom is the windows, or simply the lack of walls that provide an unimpeded view to the outdoors. The style you select for your sunroom will also have a big impact on how energy efficient the space is and how comfortable you feel. That’s why it is important to do your research before deciding on sunroom windows for your home. If you like the look of divided light for your sunroom windows, you have a few options. True divided light windows are not typically sold these days, but can be ordered (they are very expensive). You can get simulated divided light windows, which have grills installed between the panes of glass. You can also get snap-on grilles that sit on the outside of the window and make windows look like divided light. Other options include hardware, finishes, security latches and more, which can further customize the look of your sunroom windows. The type of windows you choose will have a big impact on the look and feel of your sunroom. Most of today’s Energy-Star rated windows provide the efficiency you need to keep your sunroom comfortable and energy efficient. They are double paned windows, and some come with low-emissivity coatings. Older sunrooms may have single panes already installed and these are relatively inefficient. Replacing older, inefficient windows with more modern energy efficient models can bring a great deal of added enjoyment to your sunroom and can increase the overall value of your home. Although some homeowners are tempted to splurge for triple paned windows or those filled with argon gas, which are extremely energy efficient, the additional cost to purchase the windows may not make it worth the savings payback. The only exception is if you live in a climate prone to extreme temperatures. If however, your super-efficient windows qualify for tax incentives or rebates, they may be a good investment. Most sunrooms require at least ten or more windows. 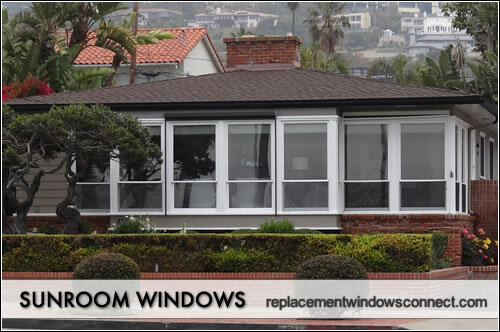 Since the type of window you choose and the price of each window can vary quite a bit, the overall cost can be substantially different from one window choice to another when you start multiplying it by the number of windows you need. Costs will be affected by such factors as size, material, style, and energy efficient options. You can expect sunroom windows cost anywhere from $250 to more than $1000 each. When selecting windows for your sunroom, you have a choice of style and material, as well as decorative options. Here are some to consider and the costs associated with them. These have two sashes situated one above the other and open vertically. Explore more on double hungs. Double Hung Prices: $200 – $950 each fully installed. These windows slide horizontally across one another to open and are a basic and lower cost window. Gliding Prices: $115 – $750 each fully installed. These open from one side and have hinges on the other. They allow the window to fully open by means of turning a hand crank. Casement Prices: $400 – $1250 each fully installed. These are similar to casements, except that the hinges are on top and the windows open out from the bottom. They also open fully, allowing in a lot of fresh air, and can keep rain out. Awning Prices: $250 – $750 each fully installed. Fixed frames don’t open and therefore don’t allow in fresh air. They are most often used high up on walls, in conjunction with operable windows, or in sunrooms that are made entirely made of glass (like solariums). Fixed Frame Prices: $250 – $650 each fully installed. A popular option due to their lower cost and low maintenance requirements. Some don’t like the look of vinyl windows, but they can be made to look like wood these days. 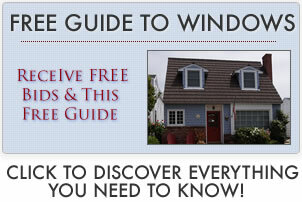 Vinyl Window Prices: $00 – $750 each fully installed. Although they look beautiful, wood clad frames require quite a bit of maintenance to keep them looking good. They need to periodically painted, stained and sealed and can be prone to damage from moisture and insects. Wood Clad Prices: $450 – $1,200 each fully installed. The advantages to choosing your sunroom windows wisely result in how beautiful your room looks, as well as how comfortable it feels. Energy costs will also be affected by your selection, so it is definitely worth doing your homework to purchase sunroom windows that have the attributes that are best for your particular climate and location. The main advantage to the windows, however, is the view that they offer occupants of the house to the outdoors. The primary disadvantage to particular types of sunroom windows is their energy inefficiency, which can greatly increase your energy bills. Safety is another disadvantage to having so many windows in one room, since the windows can be a primary target for intruders if not securely locked.